You’ve already kicked your soda habit (mostly), and you save sweet treats for emergencies because you know that too much sugar is bad for your health. But did you know it’s actually bad for your skin as well? 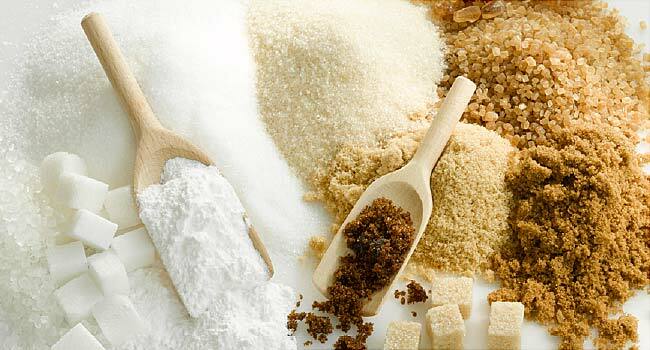 After consumption, sugar molecules attach to fats and proteins in a process called glycation. This creates advanced glycation end products, commonly called AGEs. Your body will produce antibodies against AGEs, creating inflammation in your skin, and causing protein fibers to become stiff and malformed. Unfortunately, the proteins in your skin that are most prone to glycation happen to be collagen and elastin, those lovely building blocks of plump skin that we are always trying to improve. They become discolored, weak and less supple, which then shows up on the skin as wrinkles, accelerated aging and a loss of radiance. The presence of AGEs also makes your skin more vulnerable to other aging culprits, such as sun damage and cigarette smoke. What can you do about this internal assault? Your best defense is a good diet. Stay away from refined white sugar and high fructose corn syrup (studies have shown them to increase the rate of glycation by up to 10 times! ), and refined carbohydrates. Increase your intake of green tea, which has been show to significantly interfere with the glycation process, in addition to its myriad of other health benefits. Your last line of defense is in your skin care. Look for a reputable anti-aging cream containing AGE fighters. Products that stimulate collagen growth can help as well. Regular professional facials and skin care assessment are a must for healthy skin. At Privy Skin Care we offer unparalleled personal service. Call us for a consultation or book your appointment online today!